Rain is predicted for Thursday and it appears that it won’t be enough to shut the enduro down. But do check back here before you leave for the event to make sure it is still running (will only post if event is postponed / no post means come on up) ..
No AMA Card needed to enter and ride this event!!!! This is a Timekeeping Enduro. USFS approved Spark Arrestors are required. 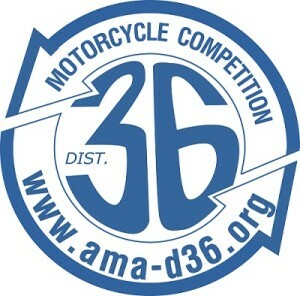 Must pass a Sound test not to exceed 96 dba (101 dba for vintage bikes – pre 1986). There will be a gas break back at camp at your vehicle so no remote gas can is needed. 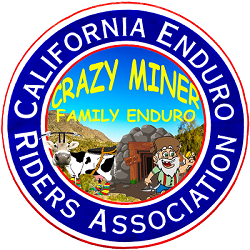 Crazy Miner Flyer —- Includes Rider Information Sheet …. A Must Read!